This story is something I've been writing to explore what could have happened if the BO took an interest in Akai's family during his time as a mole. Any thoughts would be appreciated! #31: YKYADCF you choose 4869 or 1412 when you need a four digit number for something. Reason why u still read DC after so long? I've come so far with catching up, why should I stop now? I'm with everyone else on the ending thing as well. 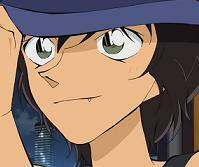 How did you come across Detective Conan? Oh boy... I was browsing Not Always Working last year (I was 16 at the time) and I came across a story called "Kudos to Otaku Girls". I liked what the story mentioned about it, so I looked up the first episode (English dub) online. I didn't switch to subs until episode 18 or so. I admit, I snickered a bit at the Black Org one. These do look amazing! Just as the title says. I do art. The shoulders and face kind of feel off. Any input would be great! Hey there! I go by Darkest Absol online, but feel free to just use Darkest. 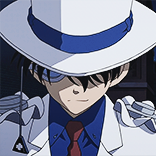 Anyway, I've been a fan of Detective Conan since April 2013 (One year!) and have just watched that two hour special with the costume party on the ship. This seems like a good community, so yeah.